The fast, fun way to get to grips with letters – with cute animal friends from Apple Tree Farm. Learn the alphabet in a flash! 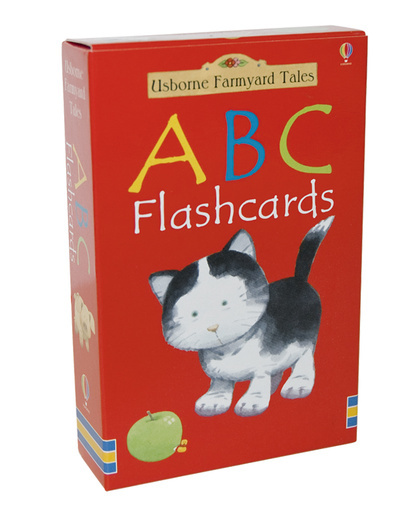 These delightful flashcards combine all the ABC letters with bright pictures of farmyard animals and objects from the favourite Farmyard Tales reading scheme. There are 52 cards, two for each letter, each with a word and picture on one side, and an alphabet letter on the other. You can use them for sequencing and matching games, or to practise sounding out words and letters. Ideal for fans of the series, they’re packed with familiar things for little ones to identify, spot and name!